Like billions of Chinese worldwide this weekend, I&apos;d hoped to observe Ching Ming (Cantonese), or Qingming (Mandarin), to pay my respects to ancestors by visiting gravesites with family for a bit of spring cleaning, as well as leave offerings of food and drink. But with the current bird flu scare, travel is noticeably down, while authorities destroyed more than 20,000 birds in live markets, though poultry is still being eaten. In Chicagoland, most locals now celebrate the holiday in the Chinese section at Mt. Auburn cemetery in southwest suburban Stickney, as I mentioned last year. I was just leaving Shanghai, my father&apos;s hometown, not that it mattered. My grandparents were once buried in one of the cemeteries that no longer exists, dug up during the Cultural Revolution, now developed into modern high-rises. My uncle&apos;s ashes were buried at sea, which is increasingly preferred. 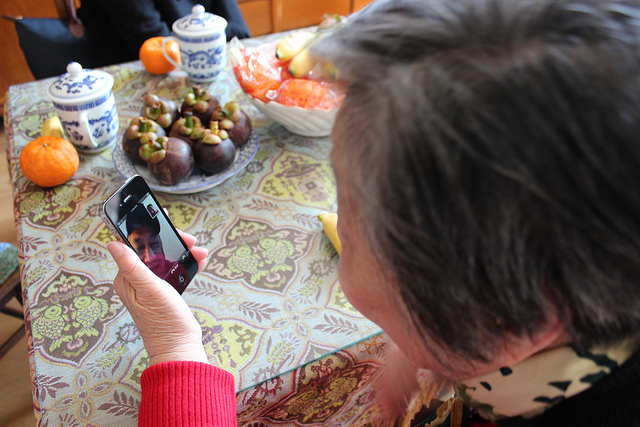 One consolation: I told my dad I was bringing home not only qing tuanzi, but from Godly. The vegetarian restaurant open since 1922 and recognized for its intangible cultural heritage in China, was once a favorite of his mother, the grandmother I never knew. My dad said, "What are qing tuanzi?" 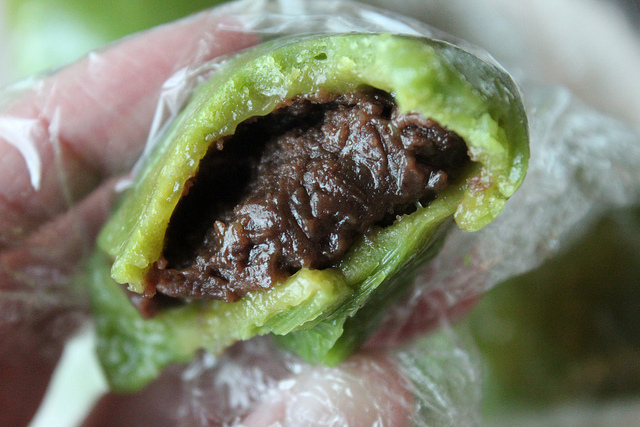 Qing tuanzi are distinctively bright spring green glutinous rice dumplings filled with sweet red bean paste. Their color comes from wild mugwort juice. They&apos;re now found throughout Shanghai, but are a specialty of Suzhou, about 60 miles west of Shanghai, an hour and 30 minutes drive or only an hour by high speed bullet train. 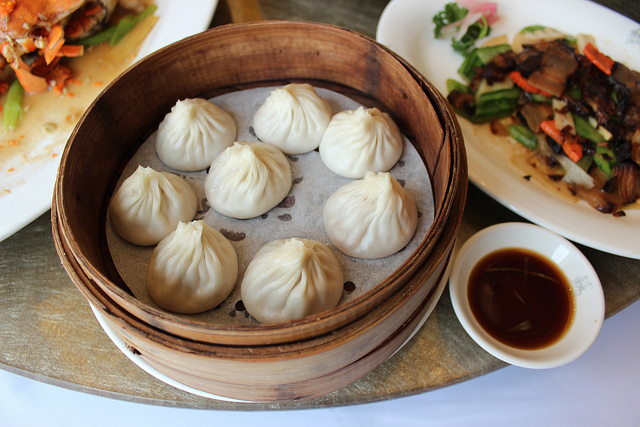 Clearly they&apos;re not nearly as famous as xiaolongbao, Shanghai&apos;s iconic soup dumplings. 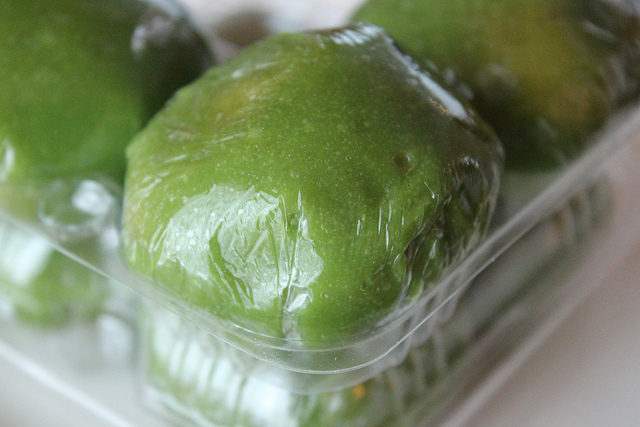 The green dumplings may look like mochi but my first bite revealed something completely different. 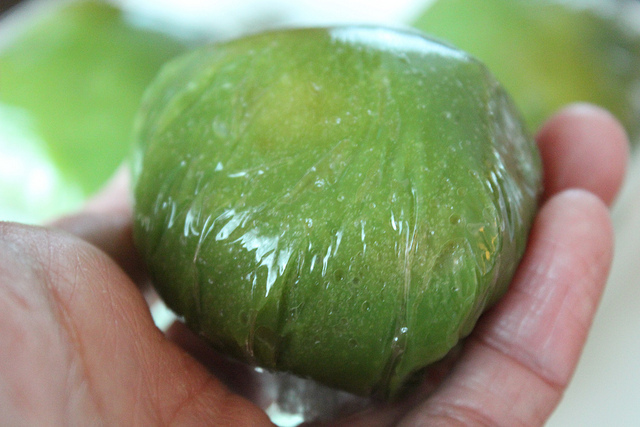 They&apos;re firmer in texture, with a tart almost effervescent flavor, like the white nian gao (steamed sweet sticky rice cake) that my maternal grandmother used to make. You can actually order qing tuanzi by Godly online. I&apos;m not sure about the shipping, but in our world, old meets new and it seems anything is possible. Follow Louisa Chu on Twitter.